Dr. Fandel became a dentist because of his love of the medical field. However, in his youth he was very good with his hands, whether it was building things like models or helping his father work on their family car, and he decided that he wanted a career where he could use his passion and skills to help people. Dr. Fandel attended The University of Mississippi, from 1983 to 1986 where he earned a Bachelor of Science degree. He entered the Air Force Dental Corps in July 1991 after receiving his DMD from the University of Mississippi, Jackson. 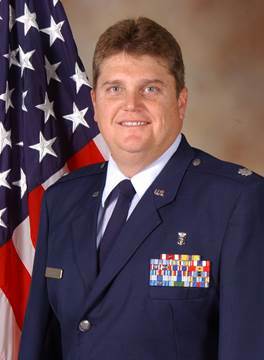 Dr. Fandel retired from the Air Force as a Lieutenant Colonel having been stationed abroad in Guam, Germany and Romania. As a dental professional in the Air Force Dental Corps he participated in Operation Pacific Haven and Super Typhoon Paka Humanitarian efforts and also was deployed to Baghdad, Iraq to support the second Gulf War. As Chief of Dental Services in Iraq, he played a key role in the forensic identification of Uday & Qusay Hussain and other high ranking BAATH party members and responded to numerous mass casualty events including the UN bombing in Baghdad. Having joined the military to do his part for his country, Dr. Fandel was the recipient of a dozen awards and decorations for outstanding and meritorious service. Dr. Fandel is a member of the American Dental Association, the Texas Dental Association and the local San Angelo District Dental Society. Dr. Fandel is married to his lovely wife Frances and they have 5 children Nicholas, Lauren, Jaymie, Dylan and Marc. Dr. Fandel loves sports (especially golf). He is a big baseball fan, having played baseball at NE Mississippi Junior College and at Ole Miss. When not at the practice, he spends time with his family swimming, fishing and building models.